One of the biggest challenges when first starting to play disc golf is knowing what discs to throw. More often than not, you got into the sport because a friend, co-worker, or family member encouraged you to do so (or dragged you on the course against your will!). After a round or two, you fell in love, but knowing what discs will best suit your new skill set can leave players at a loss. Thankfully, there are a ton of options within the our line-up. Between Dynamic Discs, Westside, and Latitude 64 molds, there is literally something for everyone. Today we’re going to take a look at fairway drivers - one of the essential tools for any budding player. 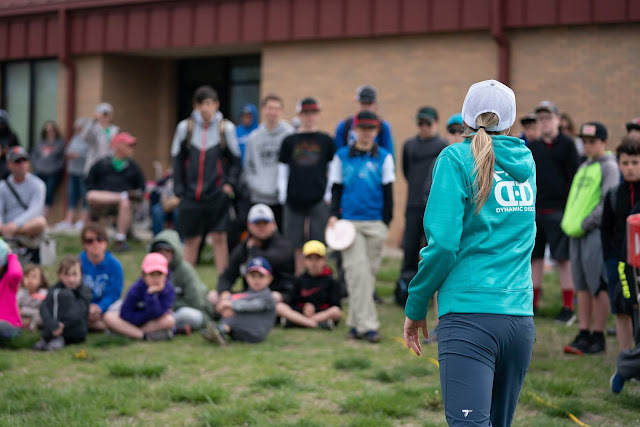 When you first start disc golfing, there’s a good chance that you don’t have a ton of arm speed or power, and it can take some time to master your form as well. Which discs work best in this scenario? Let’s take a look! One of the slowest fairway drivers we have to offer, the River is a great choice for players who have less power. Rather than depending on your disc to launch itself down the fairway, the River offers an immense amount of glide, allowing you to put your full power into your drive and letting the disc do the rest. The River Pro brings a ton of control as well, so you don’t have to worry about not knowing what your disc is about to do. Add to that its ability to stand up to windier weather and you have yourself a versatile choice all around. Literally designed for new players to find success on the tee box, the Underworld by Westside is the perfect option when you’re just starting out. We highly recommend it to be your very first fairway driver - it’s just that easy to use. Many times a beginning disc golfer will find frustration as their disc hyzers out to the left well before they want it to, but with the Underworld you won’t have that issue. You don’t have to be athletic at all to enjoy disc golf, but sometimes this lack of experience can result in a lower arm speed. While it’s something you can learn to improve upon over time, it can sometimes frustrate players when they first start out. If this sounds like you, the DD Witness will change your game. Like the River, the Witness offers a great deal of glide to help you get maximum distance off the box, and with an understable flight path you can depend on your disc to do the work for you. The last time you took a new player out to the course, which discs did you hand them? Was it one of the three we’ve listed above or did you find that another mold was more successful? Let us know in the comments below what you think is the best fairway driver for someone who is just learning the game.